The latest report from the TRAI has pointed out two trends: Reliance Jio overtaking Bharti Airtel in terms of adjusted gross revenues; and quarter-on-quarter growth in voice calls and data usage across the entire telecom subscriber base. The telecom sector keeps churning out fresh surprises. The latest report from the telecom regulator TRAI has pointed out two trends: Reliance Jio overtaking Bharti Airtel in terms of adjusted gross revenues (AGR); and quarter-on-quarter growth in voice calls and data usage across the entire telecom subscriber base. 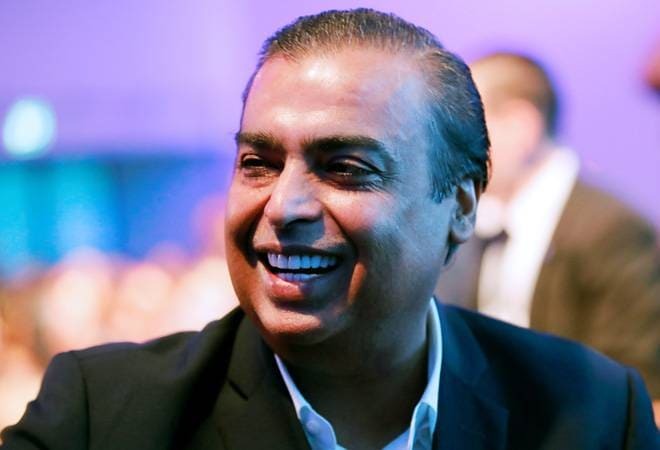 Jio, which started its commercial services over two years ago, posted an AGR of Rs 7,125.69 crore in the quarter ending June 2018, as compared to a negative AGR of Rs 1,036.56 crore in the corresponding quarter last year. The jump in Jio's AGR coincided with Bharti Airtel slipping on the pecking order. For instance, Airtel's AGR declined from Rs 9,888.29 crore in the quarter ending June 2017 to Rs 6,723.56 crore in the June 2018 quarter. The overall AGR of all telcos has also fallen by 15 per cent to Rs 25,585.07 crore in the past one year ending June 2018. As per TRAI's numbers, Jio's subscriber base (wireless and wireline) was lowest amongst four major telcos - Bharti Airtel, Vodafone India and Idea Cellular - in the June 2018 quarter. Jio had 215.26 million subs as compared to Airtel's 348.52 million, Vodafone's 222.97 million and Idea Cellular's 220.60 million subs. The rise in Jio's AGR at a lower subscriber base highlights that the telco is making more revenues per subscriber than its rivals. In the June quarter, Jio reported ARPU (average revenue per user) of Rs 134.50 as compared to Airtel's ARPU of Rs 105. Jio's aggressive tariffs have affected its rivals significantly bringing down their APRUs over the past two years. Its own ARPU remains high though as a large chunk of its subs opt for Rs 399 recharge pack. Interestingly, the free voice calls service offered by telcos seems to be catching up with Indian consumers. Jio started off with free voice services in September two years ago, and its move was followed by other telcos. Since then, the amount of voice calls - outgoing and incoming - handled by consumers are on a rise, every quarter. In the June quarter, the minutes of usage per subscriber per month stood at 608.41 (outgoing and incoming) as compared to 365.6 minutes in the quarter ending September 2016. The data usage (over wireless) per subscriber per month has grown over 13 times to 3,206 MB (megabytes) during the same period.